This seems like a no-brainer to me. Kazuchika Okada has been a part of some of the best matches of the year. Three times he has put on top-notch matches with Kenny Omega while also producing gems with Cody, Katsuyori Shibata, and Minoru Suzuki. 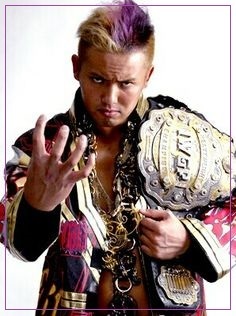 Okada is easy to overlook when considering the greatest in-ring talents in the world. He doesn’t have the flashiest move set or the most muscular physique, and it is easy to attribute his great matches to his opponents in the ring. However, when you realize that Okada is part of everyone else’s best match of 2017, the choice for this category becomes clear. What Okada brings to the ring is an innate sense of pacing and storytelling that can best be compared to Ric Flair, plus an unmatched ability and willingness to mold his style to whoever he is in the ring with. With Okada there is never a clash of styles; he alters his style to match his opponent. He can match the speed of Naito or Tanahashi, the power of Fale or Shibata, or the violent, all-around game of Kenny Omega. Being in the ring with Okada means looking like one of the best wrestlers in the world, and that is why he is the in-ring performer of 2017. In an industry that requires compelling characters, this is a category that carries similar prestige to the in-ring performer. The best character will have a unique gimmick that they never stray from on-camera and that advances storylines in a qualitative way. For me, the top performer in this category this year is new Ring of Honor champion Dalton Castle. Castle has created a character that combines power wrestling with undertones of questionable sexuality and has gotten the gimmick over in a way that even Adrian Adonis could only have dreamed of. I found myself initially cringing at this gimmick (and the possible stereotype problems it could have turned into), but I have come to embrace it as has most of the ROH fan base. I shall start this category with the honorable mentions and move into the winner. Tyler Bate and Pete Dunne clashed three times in 2017 for the WWE UK title, and all three were match of the year candidates. The in-ring talent of these two young men is amazing, and I hope we get to see more from them in 2018. At NXT Takeover: WarGames, Aleister Black and Velveteen Dream stole the show with an amazing match that also had a great storyline build. The match combined creativity, athleticism, and storytelling to put on perhaps the best match of the year in any WWE brand. As mentioned earlier, Kazuchika Okada has had several of the best matches of the year, including classics against Shibata and Omega. The match of the year is Okada vs. Omega at Dominion in June. This match wins the place of honor not only for the great ring work by the two combatants, but also for the unexpected finish (a 60-minute draw) and a sequence outside the ring that launched what may be the defining storyline of 2018 in NJPW, a possible split of the Bullet Club. Only two feuds this year have come close to rising to the level needed to win this award. Tyler Bate and Pete Dunne have put on three epic matches in 2017, matches that could (and probably should) be headlining major pay-per-view events. Unfortunately, the WWE has really dropped the ball by booking zero storyline between these two outside of the ring and giving fans little reason to care other than great in-ring performances. The WWE has really dropped the ball with the entire UK division, and their lack of any sort of creative engagement in this feud has been extremely disappointing. Therefore, the feud of the year is Kazuchika Okada vs. Kenny Omega. These two also put on three excellent matches this year while having a creative back story that kept fans engaged and salivating for the next installment, and still has us, a year into it, aching for another match between these two warriors. In Chicago at the NXT Takeover event on May 20, Tommaso Ciampa turned on Johnny Gargano, ending their very successful tag team run in NXT. This was a shocking move, and one that surprised me more than any booking decision WWE has made in quite a while. 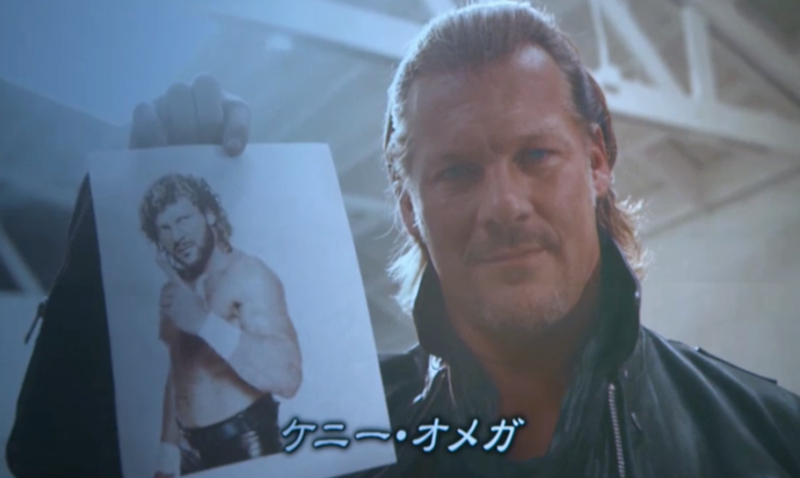 However, it was almost pedestrian when compared to this year’s WTF moment, Chris Jericho’s arrival at NJPW and challenge to Kenny Omega for Wrestle Kingdom 12. The challenge was a move that stunned most fans and that has even people who had never previously heard of New Japan planning to tune into WK12 to see the match. With all seven titles promoted by NJPW and the ROH world title being defended, Wrestle Kingdom 11 was easily the event of the year. Nine of the eleven matches on the card were at least very good, and the New Japan Rumble match was very watchable. I walked away from the event thinking that it was likely the best overall event I had ever seen, and a year later I still agree. On May 22, 2016, Cody Rhodes was granted his release from WWE. Frustration over the Stardust gimmick and the creative team’s unwillingness to listen to his ideas prompted his request for the release. At the time, many predicted that Cody would go into the indies and fill 500-1000 seats per night, making pretty good money. Boy, were they wrong. 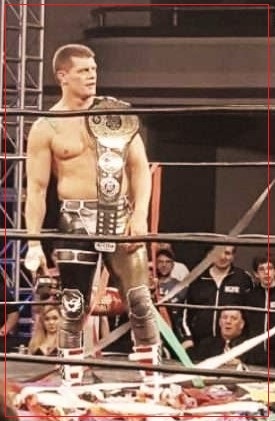 Cody Rhodes created the American Nightmare gimmick, became a top heel in two major promotions, and has risen to be one of the top five performers in the industry anywhere. Rather than struggle financially and creatively without WWE’s backing, Cody has created the blueprint for how intelligent, hard-working, talented wrestlers can be major stars without kowtowing to the McMahon dynasty. 2017 saw Cody win the ROH title, contend for the IWGP title, and cement his place at the top of the game. He is truly the breakout star of 2017. This is a fairly difficult category due to several factors. Of the top two candidates for this award going into the year, DIY broke up and the Revival spent most of the year on the shelf. The Authors of Pain had a good year, capturing the NXT titles early on and holding them for much of the year. War Machine had an excellent run in ROH and NJPW that puts them into the conversation, and the New Day stayed near the top of their division all year, but the Usos are my choice for tag team of the year. Jimmy and Jey, who had sunk into a boring morass prior to September 2016, made a timely heel turn at the end of last year, and the new attitudes have been a huge boon for their characters as they were able to once again get the fans to engage with them. The Usos spent considerable time with the tag belts in 2017, including winning an epic Hell in a Cell match against the New Day in October. In-ring talent is a must in this category, and this woman has certainly shown a great deal of improvement in that area over the course of 2017. Her promos are always spot on, her ability to control a crowd is unmatched in WWE, among men or women, and her character as the “Goddess of WWE” has been great this year. For these reasons, the 2017 Female Performer of the Year is Alexa Bliss. Kenny Omega is unquestionably the all-around male performer of 2017. His performances in the ring place him near the top, and his understanding of promotion, as displayed in both his “Being the Elite” video series and his Twitter-to-ring feud with Chris Jericho, make him the best all-around performer in the business among the men. This category is such a runaway that there are no honorable mentions. Gedo, the head of creative at New Japan Pro Wrestling, has done such a fabulous job of booking the promotion, especially at the top, that no other booker deserves to even be mentioned in the same conversation. The booking in NJPW in 2017 has been very deep and nuanced, especially given how few shows they produce compared to their American competition. The feud between Omega and Okada has shown a fabulous arc, from Omega losing a close match at Wrestle Kingdom 11 to the draw at Dominion, followed by Kenny finally grabbing a win over his rival in a non-title match during the G1 Climax tournament. While developing this amazing feud, which has spanned twelve months so far and still has not concluded, Gedo has also laid the seeds for other storylines such as dissension within the Bullet Club, the premier stable in all of professional wrestling at the moment, Naito’s chance at redemption at WK12 by making it to the main event that was previously ripped away from him, and the blockbuster Jericho-Omega feud that has taken the wrestling world by storm. I want to extend my congratulations to all of the performers who won awards here today. On behalf of fans everywhere, thank you for all of your hard work and for keeping us entertained. To everyone who didn’t win, let’s step up your game for 2018.